There are so many fun things on my to do list: publish a novel (once I’ve finished writing it), write book reviews, travel (always), make dresses (finally the craft room has a voice). And there are still five weeks of term (I work in Education as well as parent MiniDgtl). AND Easter is taken up with other stuff (Legoland Windsor, London, Cornwall daycations, possibly Butlins if I can wangle it). Plus, I’m so shattered on a Monday night after driving MiniDgtl around that I’ve begun a new routine – Will and Grace in a bubble bath; thank you Amazon Prime for showing 8 seasons. So, who the hell has time to think never mind reflect? 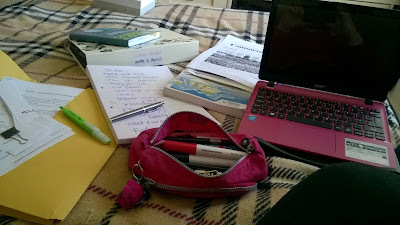 I also need to sort out my blog, as I haven’t published anything in almost six months! October still feels like it was the other week. And we’re nearing St Patrick’s Day. And the end of the Six Nations. I have managed to do a fair bit of reading, though, for research (AND watching 80s movies) and for pleasure, so I’ll write up my reviews this weekend for the book review posts. In between swimming lessons and housework and playing rock-paper-scissors to see who’s doing the food shop. I did find time for the post-hibernation hair removal this weekend, though. Over three bathroom sessions. Just the arms to sort out next week. As MiniStylist is still of school age - and we could still be fined if we take her out of school quite as much as I'd like to travel - the majority of our trips are done for the year (although we have a couple of daycations to Bristol and London before Christmas). However, this means I can indulge in my other favourite past time - reading. Yup, Mini is back in the classroom, and I'm back on the Kindle app. Please note: I do love a paperback, but I can download ebooks from my sofa. In the warm. Great news for authors in that my friends then have to buy the ebooks, too, instead of us all sharing a paperback, as we did at university. Not so great news for my book-folding friend in that she has no ready supply of books to turn her amazing craft skills to. I'd love to share with you the books that have kept me awake until four am, or have helped me to burn dinner, because I've become so involved with the characters and the plots. 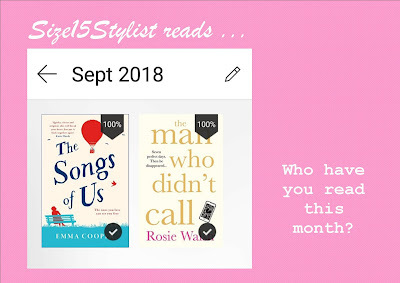 The books that I shout about on public transport, whenever I spot another reader, or recommend to friends, or can be found yakking about on Twitter. I'd love for you to let me know if you've read the books, too, and what you thought of them, ... and I'm always happy to hear new recommendations. First up is Rosie Walsh's The Man Who Didn't Call (also known as Ghosted in other countries). This novel had been on my radar, but it was an enthusiastic tweet from Stephie Chapman (also a brilliant author) one night, and that elusive few minutes needed to download a sample onto my phone, while I carried on parenting, that brought the book properly to my attention. I ended up reading this most of one day, doing to books what I usually do with a box-set binge. Walsh lures you in to that perfect summer day in the British countryside, when you meet someone who'll change your life forever in less than a week; you've already changed his life. I had to pop to the shop for dinner, and continued reading the book on my phone as I walked the five minutes. Then promptly forgot what I went to the shop for, and ended up looking like a befuddled shoplifter. Finally remembered, brought dinner home, then the plot went a beautiful kind of haywire again, and I nearly burned dinner. A week or so later, in love with reading all over again, I happened upon an Emma Cooper 99p sale on Kindle, for The Songs of Us. The Twitterati amongst you will know that I quite like music, so the opening chapter of this book, where the main character, Melody, uncontrollably sings the Arctic Monkey's Bet That You Look Good on the Dance Floor, at her son's assembly, had me hooked. And dinner got burned again. And then I stayed up until 4 am that Sunday morning, completely ugly-crying along with the humanity this book contains. Isn't it time we side-stepped the snacking that is social media occasionally and delved into the world of fine reading? As you were...terrorising the tea, maybe? Disclaimer - I am a nut for Kindle, because I can literally read a novel anywhere, but all books, devices and opinions are my own; I received no money for this post. You're welcome. Visiting Disneyland Paris in August is possible on a budget. I recently visited Disneyland Paris (DLP) with Tiny Traveller, and we had a ball worthy of any Princess. We also managed to visit, for four nights in August, for around £1000. 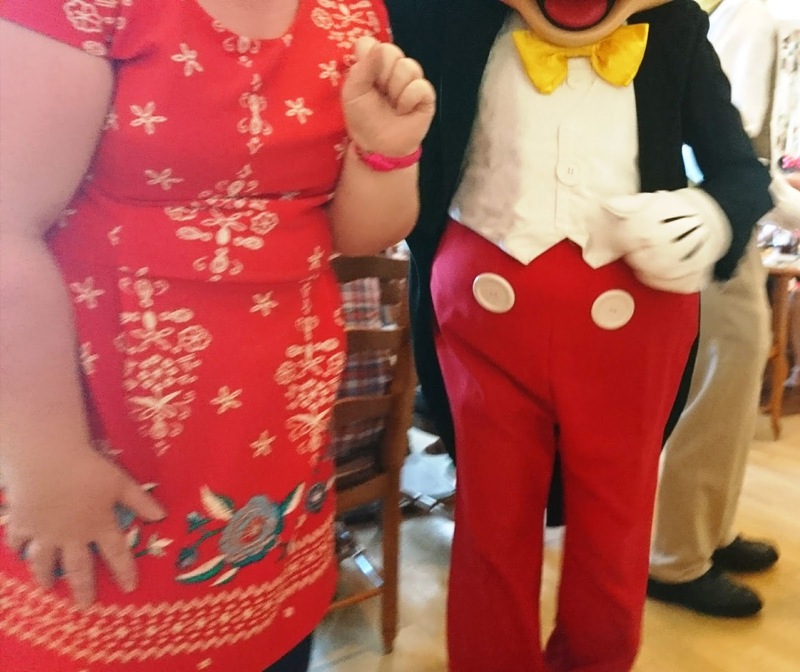 Yup, including return Eurostar, 4 nights bed and breakfast, 3 day/2 park tickets, a character lunch and meals. 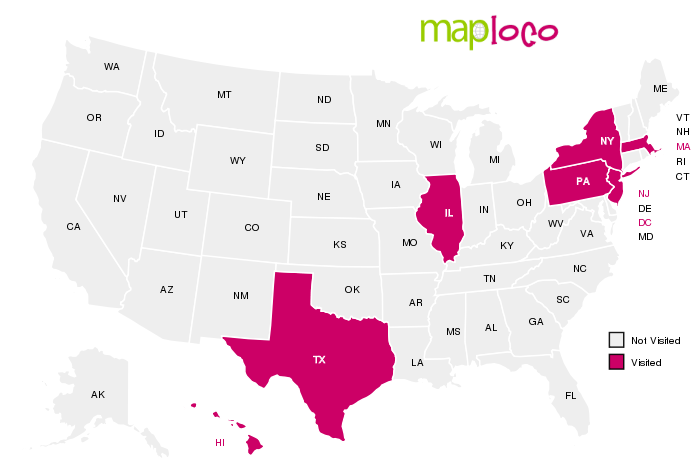 S15S TRAVEL TIP: Go with a friend who is supremely organised and makes you book at least 5, if not 7 months ahead. The price is worth it. 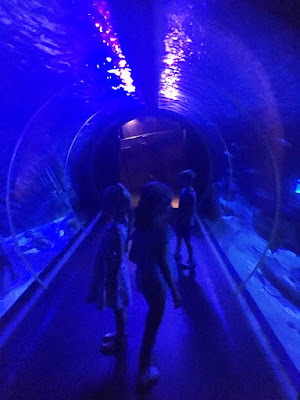 We went with one of my best friends and her two kiddos, aged 6 and 4, and we took advantage of the extortionate school holiday prices to stay a little outside the park. Only a five minute ride away on a FREE, and regular shuttle bus, we spent four nights at the 3* Aparthotel Adagio, Marne-la-Vallee Val D’Europe. All five of us shared a two-room apartment; one bedroom (double bed) and a kitchen/diner/lounge (two sofa-beds and a rollaway). There is a daily train from London to Marne-la-Vallee (MLV), France, which is the Disneyland stop, so try to book that if possible. Unless you want to spend a few days/hours in Paris, in which case go for a train direct to Paris. We arrived at the MLV station, at the north end of the site, just after 1.30pm. And spent the next hour walking around the massive Disneyland Village (free entry, lots of security to haul your suitcases through) to locate the bus stop for our hotel, at the south end of the site. Then we had a forty-five minute wait for the bus, in 30 degree heat, because the buses aren’t as frequent during the middle of the day. But we had snacks and tablets, and hell, we were at Disneyland! 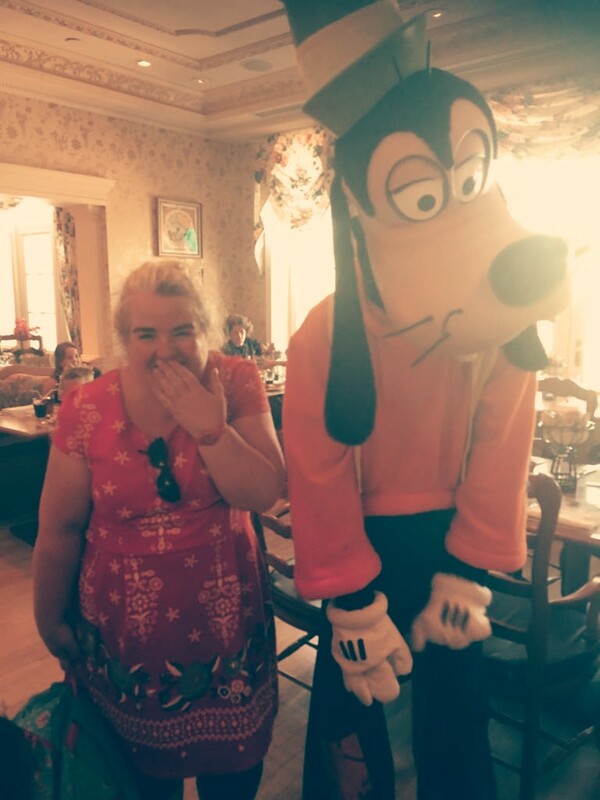 Me with the Goofy. Not Pluto as kids kept shouting. Found the hotel no problem, thanks to help from fellow bus passengers, and, after a quick unpack, the three kids and my friend were in the hotel’s indoor pool and I was dispatched to the local supermarket, in the Val d'Europe Mall, to buy dinner. S15S TRAVEL TIP: The local supermarket, Auchan, is at the end of a shopping mall to rival the size of Manchester'sTrafford Centre, so about a fifteen minute walk from the Adagio hotel. Also, don’t try ‘popping to the shop’ in flip-flops; one step forward two steps back on the slippy flooring. But, hello! A huge mall within walking distance? My very own Disneyland. Made it back to the apartment with pasta, but forgot pasta sauce. Also didn’t trust the cork wine wouldn’t just taunt me, unopened, on the table, so I left it on the shelf. Then realised the apartment had a cork screw, so we bought wine another day. Four euros; lovely grape. Bought obligatory bread, cheese, ham and butter and a ton of soft drinks (after lugging suitcases around all day I could have cried under the weight). But three euros for six colas from Auchan Vs almost 4 euros for one in the Disney parks? Also bought 12 mini fake Magnum ice creams, for 3 euros (it's around 4 euros for one - albeit branded - ice cream in the park). Even managed a quick splash in the pool, too, then fed and watered everyone and lay down on the couch, dreaming of when I could squeeze in a mall visit. Officially Day 1 of our park visits. We bought three-day passes from Picniq, which included a few additional discounts, and Fast Pass. 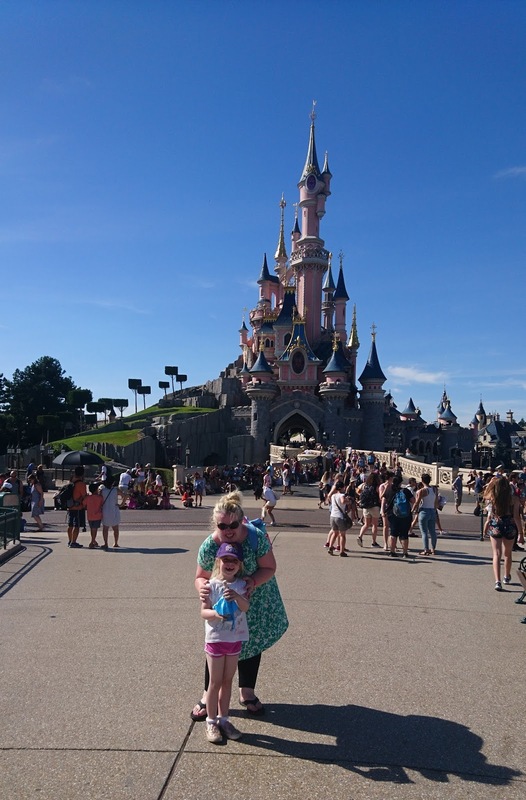 It was our first time using the site and I'd definitely use again for other days out in the UK, as well as for return trips to Disneyland Paris. The earlier you book the better the price, too. We payed around £150 each for 3 days/2 parks tickets, booking a month before. We told the kids to eat up at the well-stocked breakfast as we wouldn’t be eating lunch (then remembered we’d booked a character buffet lunch at Inventions!) The kids were far too excited to eat; there was a play house in the restaurant. The parks open at 10 am, and we arrived just before. If you stay at the on-site Disneyland Hotel your package can include early-bird entrance. #Goals. I exchanged our Picniq park ticket vouchers for actual tickets at an automated machine, which was very easy to operate. We didn’t need to spend three consecutive days at the parks, as long as we used all three days within a week of the first ticket being used. We spent the day at the Disneyland Park – the home of the Disney Castle, the Main Street Parade and the 11pm Illuminations show. Queues for the rides (most of them are in Fantasyland, the first you visit after the Disney Castle) weren’t too bad to start with, probably about a 15-20 minute wait. S15S TRAVEL TIP: Use Fast Pass on the rides that offer the facility (they'll be handily marked FP on the park maps, available in several languages, throughout the park). You'll be given a ticket with an allocated time, saving you up to an hour, depending on the busy periods. With three kids, in 30 C heat? So worth it. We managed a fair few rides before setting off in search of the Inventions restaurant (located inside the Disneyland Hotel), where we had our character lunch booked for 12:45. Should have set off earlier; the heat and our poor internal GPS systems meant we arrived late, hot and sweaty. But the Disney characters cheered us up. As did Tiny Traveller’s photography skills. Exhausted, we managed to see the Main Street parade at 5.30pm (the characters actually leave the castle at this time, so we arrived at Main Street about 5.45) then caught the bus back to the hotel for bread and butter dinner. May have thrown cheese and ham on the table and told kids to help themselves. Downed three colas back at the apartment. We spent time at the quieter-for-kids Walt Disney Studios park for our second day. As a TV and film geek (I have a half a BA in the subject). I absolutely loved the tours and cinematic history, and could easily spend the whole day pottering around learning and signing up for the free Animator classes. S15S TRAVEL TIP: The Studios tour is great, offering an insight into fire and water special effects, but little ones should be on the right of the carriage; Tiny was first in, so closest to the heat from the flames, and terrified. She had to have an emergency snack. The kids headed straight for the Toy Story section of the park, via a stop at the Cars ride (easily my favourite, possibly because of the country music they play). There are some great photo opportunities, but the kids were feeling the heat. The park has some great rides for under 7s, including the 4D Ratatouile ride experience, which was loved so much by all we queued up again the next day – it was a serious contender with the Peter Pan ride over at Disneyland for the best experience for the kids. Well, that and the snack bags we’d brought. We also opted to skip the Main Street Parade in favour of heading back to our apart-hotel for an afternoon nap. The three-kids-with-Tigger-energy had other ideas; we ended up in the pool. Which meant dipping all three in the bath tub post-swim. Some food must have been consumed, but honestly I can’t remember what, and we collapsed for six and a half minutes before we headed out to the shuttle bus. Still felt like our skin was burning at 7pm. But knew shade would be easier to find, so skipped the SPF (did not want to bath kids post-Illuminations show). We pottered around the Disneyland Park until it closed at 10pm, even sneaking in another Peter Pan ride, and were herded away from the Castle, as (presumably qualified and experienced) staff prepared the pyrotechnical music show, starting at 11pm. So, sixty minutes to hang around with tetchy kids? Let’s hear it for the tablets and snacks. The show was an amazing twenty minutes,however, and a definite park must-do. With our pushchair, intense Nutella-for-breakfast bribery and determined (knackered) parents, we made it onto the first shuttle bus, and were serving bread and butter to the kiddos just after half midnight. We had a quick five minutes (okay, a morning) at Walt Disney Studios, including a shop for souvenirs, then we spent the afternoon at the Disneyland Park. It was hot, so we paid for ice creams, we flaked on the grass, and we tried to do all the inside rides we could. 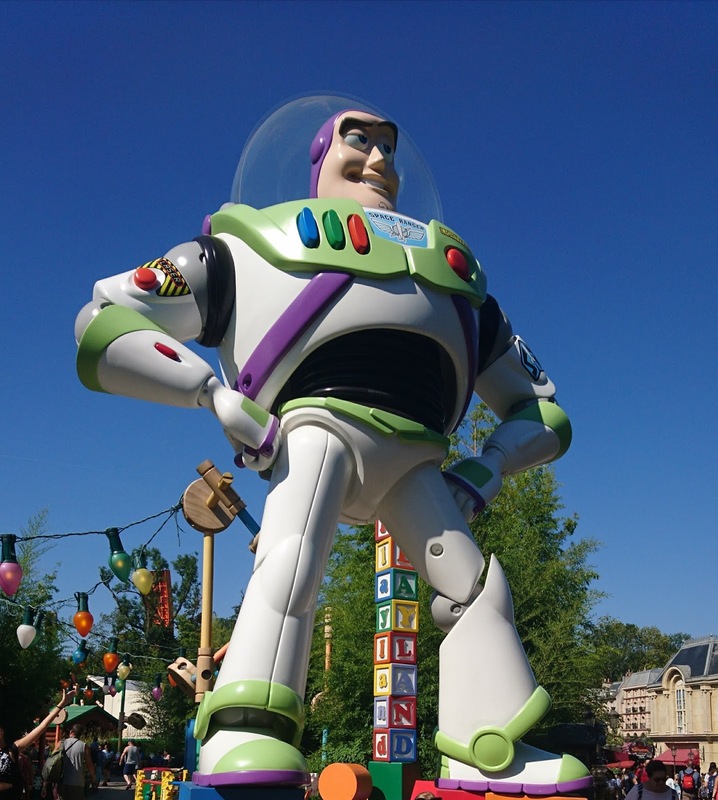 In short, a three day park pass to Disneyland Paris offers plenty of time. I’d forgotten Tiny’s Elsa dress (to be fair, so had she), but she did have a light-up twirly Elsa thing (eighteen euros!) 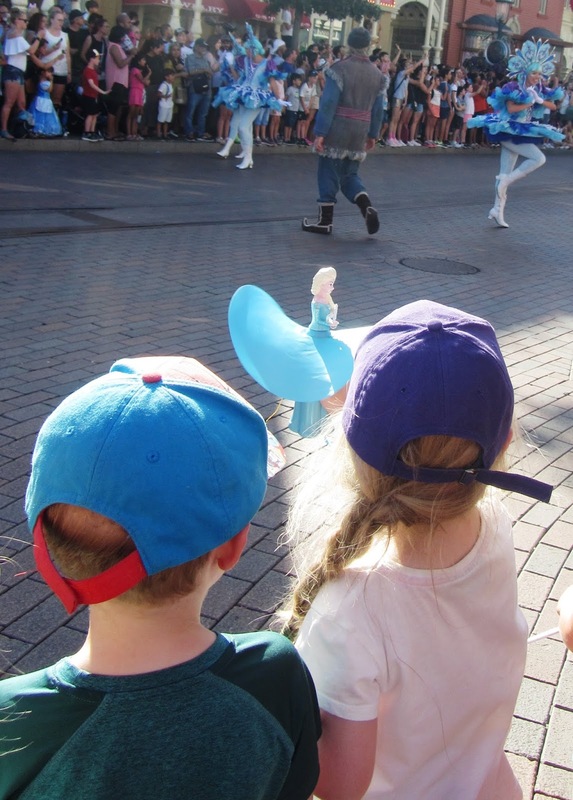 and a front row queue for the Frozen parade. And thankfully Elsa spotted her and waved. Unfortunately Anna didn’t, but I suspect Tiny's tears were mostly from heat and tiredness. I know my child isn't the only one to cry her way out of Disney. The little sausage did cheer up when I suggested that, instead of a party, we return to Disneyland Paris for her birthday in February. "Can my friends come to Disneyland, too?" she asked, dry-eyed. What do you think my response was, dear reader? Oh, and a massive thanks goes out to the super generosity of my fabulous friend, who volunteered to take the kiddos to the Sealife Aquarium. If I wanted to do a spot of shopping. I'd love to hear all about your Disney experiences! Or if you book a trip on the back of my post! Disclaimer: I paid for this trip myself, and these opinions are thoughts are entirely my own.